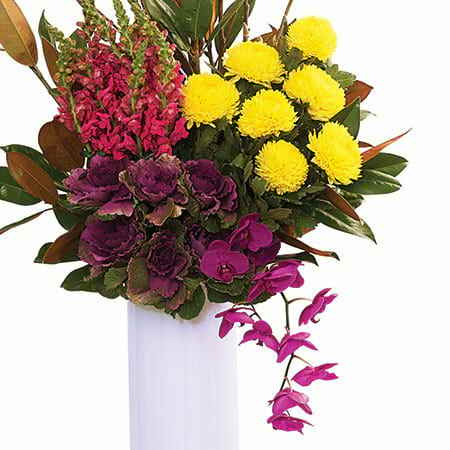 Our tall and bright seasonal vase is filled with a bold mix of colourful flowers and foliage, including ornamental kale, jumbo yellow chrysanthemums, tall snapdragons and deep magenta orchids. Tall branches add a touch of drama to this premium vase arrangement. 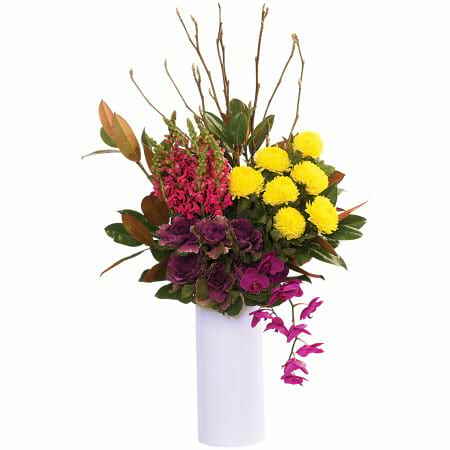 Order our bright flowers in a white ceramic vase for special occasions, corporate offices, parties and events, when you need `wow factor`. Available for Sydney delivery.